Prescreening conversations about benefits and drawbacks of PSA testing are essential but still experience many disparities. 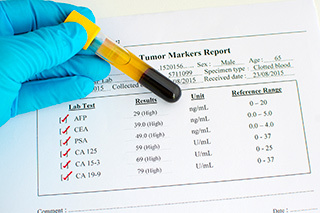 Although comprehensive prescreening conversations about benefits and drawbacks of prostate-specific antigen (PSA) testing are essential to informed decision-making about screening for prostate cancer, disparities across race, education, income, and insurance status exist with regard to the quality of these conversations. These disparities increased between 2012 and 2014. Researchers assessed whether the quality of prescreening conversations changed after release of the US Preventive Services Task Force statement recommending against screening for prostate cancer. This study examined surveys from the Behavioral Risk Factor Surveillance System between 2012 and 2014. Respondents were categorized according to the year in which they responded. Quality of prescreening conversation was measured as having discussed only benefits, only drawbacks, both benefits and drawbacks, or neither. Race, education level, income, insurance status, and whether a PSA level was drawn after prescreening counseling were confounders in the multivariate analysis. Of 217,053 men, 37% learned only about benefits of PSA screening. Only 30% of men learned of both benefits and drawbacks. Men who were told about neither benefits nor drawbacks were more likely to be Hispanic, not graduate high school, not have health insurance, and have low income. Men in 2014 were significantly more likely to have received PSA testing without a prescreening conversation about either benefits or drawbacks than men in 2012.